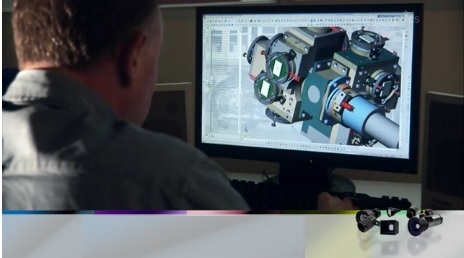 An informative video provides an introduction to how Resolve Optics Ltd has for over 20 years, through custom lens design, enabled small and large high technology businesses to get the exact precision optical lens assembly for their next product design. Drawing upon experienced optical designers and application engineers, Resolve Optics are able to deliver an optimal lens solution by addressing all of your design considerations – from specifications, to budget, through to a delivery timetable. Designing optics optimised to give your product that all important competitive edge often requires also meeting demanding mechanical and electrical requirements. With comprehensive experience of the Nuclear, Aerospace, Automotive and Defence industries – Resolve Optics is well versed in designing and delivering opto-mechanical assemblies and associated electronics that meet the demands of these exacting market sectors. An engineer is assigned to each project to closely liase with customers at all points of a development to ensure complete satisfaction with the final product. Since 1992, many organisations around the world have benefited from novel and economic optical solutions developed and produced by Resolve Optics Ltd. Several are world leaders in their particular high technology market segment. To learn more about custom lens design visit www.resolveoptics.com/oem-design-manufacture/ or contact Resolve Optics on +44-1494-777100 / sales@resolveoptics.com.